*this post contains affiliate links that help me at no cost to you! Read more. 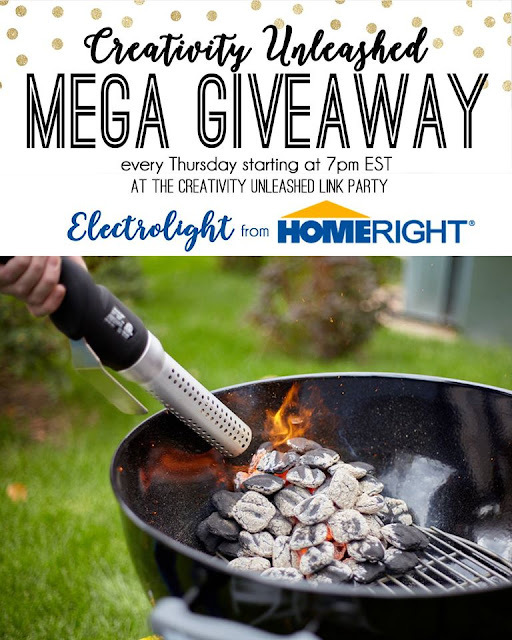 Welcome back and check out what HomeRight is giving away this week! Woo hoo! An awesome HomeRight ElectroLight Fire Starter! This is the perfect way to start up your spring and summer BBQ's! Be sure to enter below and show our sponsor some love!! If you're new here, Creativity Unleashed is a place for you find some inspiration and show off your own creativity! At the bottom of this post you'll find hundreds of links to amazing projects, recipes, crafts, and tutorials, so if you're looking for ideas for your next project, you've come to the right place! The party starts Thursdays at 7pm ET and runs through the weekend. 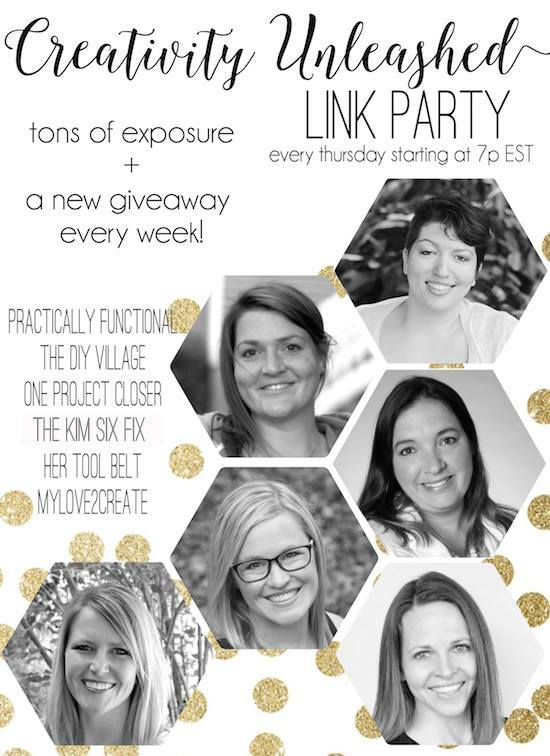 It’s hosted by Practically Functional | The DIY Village One Project Closer | The Kim Six Fix Her Tool Belt | My Love 2 Create. If you're a blogger and want to share your own recent projects, you only have to link up once to be seen on all six blogs! That's six times the exposure for each of your projects! Plus, every week, each host will pick a Rockstar from the projects that were linked up that week, for a total of six Rockstars. Then we will open up voting for MEGA Rockstar of the week. Make sure to scroll down and vote for your favorite project below, and the project with the most votes will be the MEGA Rockstar of the week! Here are some fabulous Rock Stars!! You guys are killing it!! I love your creativity, thank you for linking up each week and sharing it with us! Pallet Table from Kleinworth & Co. So who will be this week's Mega Rockstar?! Each host will visit the MEGA Rockstar's blog that week and we'll pin a bucketload of any other great content we find to some of our largest group boards! The MEGA Rockstar of the week will get an invite to our secret group Pinterest board where you can pin your own great content. We go through that board each week when we are looking for great, new content to pin, so this means that even months after you've won the MEGA Rockstar of the week, we can still find and pin your newest awesome content! The MEGA Rockstar will be invited to our MEGA Rockstars Facebook group where we discuss, collaborate, and help promote each other! GIVEAWAY TIME! ENTER FOR YOUR CHANCE TO WIN! Help us choose the MEGA Rockstar winner from last week by casting your vote above! Feel free to share any of your latest projects, as long as they are your projects! Please don't link up Etsy shops, giveaways, link parties, etc. Link directly to a specific post, not your home page. Link up your newest projects! Please don't share ideas you've already shared before. By linking up, you're giving us permission to feature your photos and project on our blogs. Images will always be featured with proper credit and a link back. 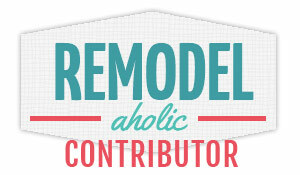 Link up your DIY projects, decor, crafts, and recipes below! I love all the great shares and features at this party! 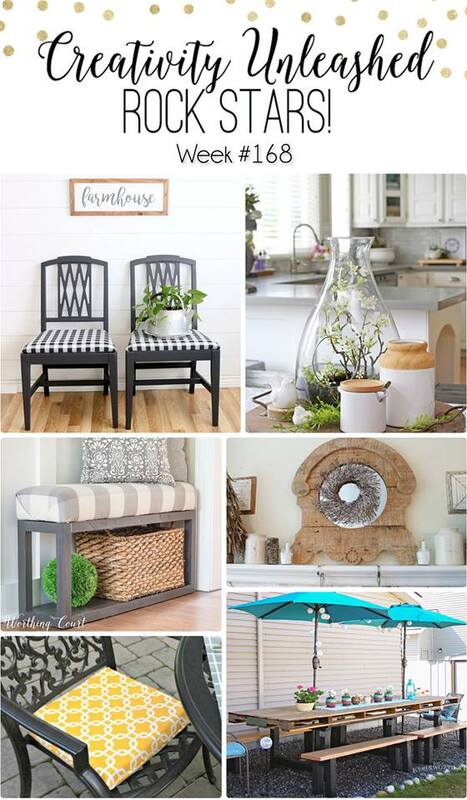 Thanks so much for featuring my DIY outdoor seat cushions tutorial! 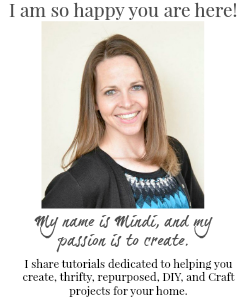 I just came across your site and I love it!! You have so many wonderful things on your blog!! Thank you for the chance at this great giveaway!